For the first time in more than seven years, the Syrian government raised its flag Thursday over Daraa, the first city to revolt against President Bashar al-Assad in 2011 and plunge the country into its calamitous civil war. The display is laden with symbolism as the government moves to stamp out the last of the uprising against the 52-year-old Assad who has ruled with an iron fist over Syria for 18 years. His father, Hafez Assad, was president for three decades before him. Officials accompanied by state media crews hoisted the two-star flag over the rubble of the city's main square, allowing it to wave in sight of the shell of the Omari Mosque where protesters first gathered in demonstrations demanding reforms then Assad's ouster in the spring of 2011. The mosque has since been destroyed in the government's brutal crackdown against the city, which ranged from alleged torturing of dissidents to shelling the city with tanks and planes. With control over Daraa, government forces can now focus on clearing the last pockets of the opposition and, separately, the Islamic State in Iraq and Syria group from the frontier at the Golan Heights, which Israel seized from Syria in a 1967 war. Protests in Daraa in 2011 against the government's mistreatment of teenage detainees ignited a national revolt against decades of authoritarian rule. Ahmad Masalmeh, a media activist formerly based in Daraa, said fighters in the city had accepted an offer of amnesty from the government, and let back in the state institutions and symbols of Assad's rule. Human rights monitors say the arrangements amount to a program of political and demographic engineering in Syria to secure Assad's rule. Government forces launched an offensive to recapture southwest Syria and the areas neighbouring Jordan and Israel on June 19. They surrounded Daraa's rebel-held quarters on Monday. 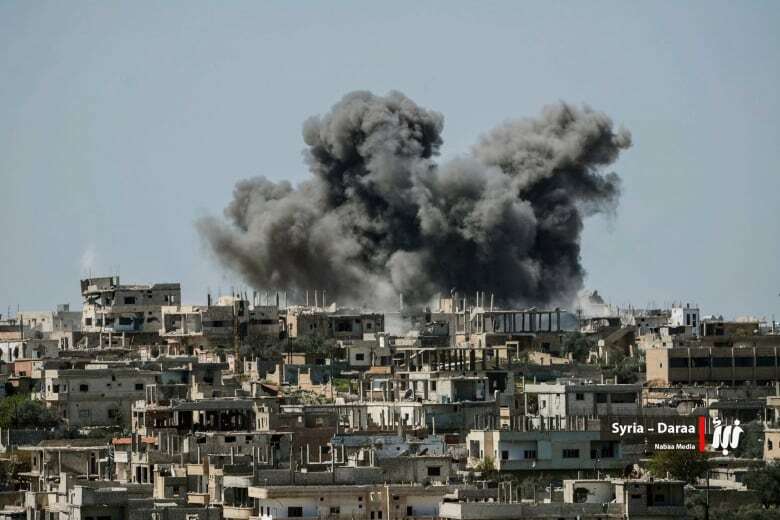 Dozens have been killed in the campaign, including 162 civilians, according to Rami Abdurrahman, director of the Syrian Observatory for Human Rights — among them women and children. Mohamad al-Hanous, Daraa's governor, said government forces were in control of 80 per cent of the city, according to the government-linked Central Military Media outlet, while Syrian state media reported late Wednesday that rebels in Daraa had agreed to surrender their heavy and medium weapons. "Idlib is a crematory," the activist said Russian mediators warned him. Humanitarian groups say more than 300,000 people have been displaced by the government's southern offensive, moving toward the Jordanian border and to Quneitra, a province that borders Israel. Israel and Jordan's borders are closed to refugees, and the aid group Oxfam said Thursday it was unable to deliver enough aid across the Jordan border to meet the needs of the internally displaced residents.